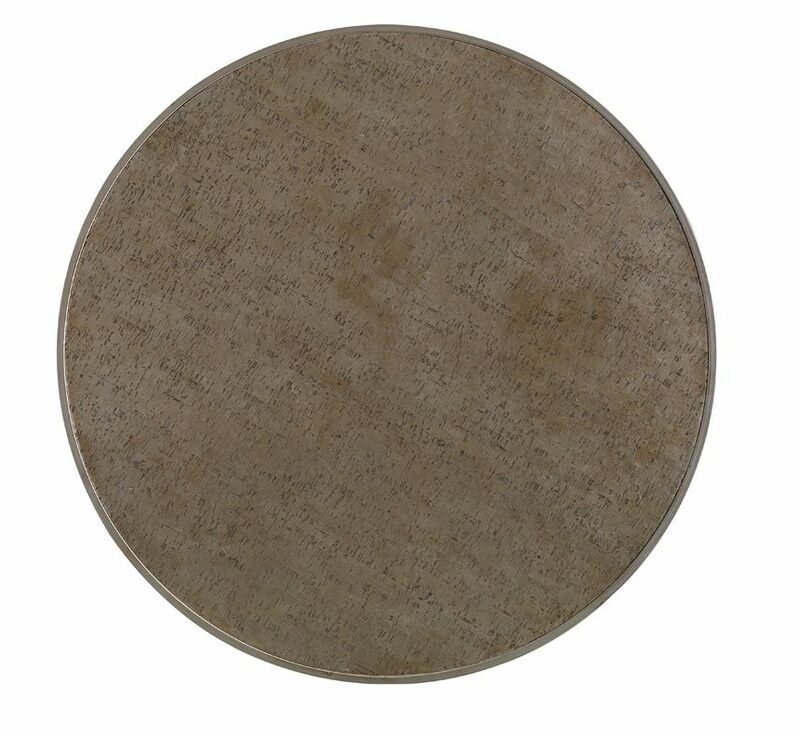 Large round drum table that is completely surfaced in cork with a handsome metallic bronze finish. 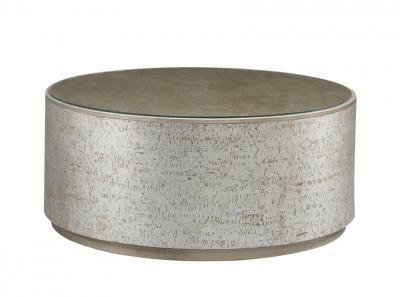 The top is metal edge banded in a champage gold finish matching the metal base. A clear glass top is added to help rotect the cork top surface.